Which of Colombia’s highways faces the greatest risk of flood? Is there a causal link between changing climate conditions, increased air pollution, and poor health among Colombians? How can drones help us mitigate the effects of climate change? These are a few of the big questions that teams of young people confronted at the 2016 NASA Space Apps Challenge in Bogotá. Esta entrada también está disponible en español. 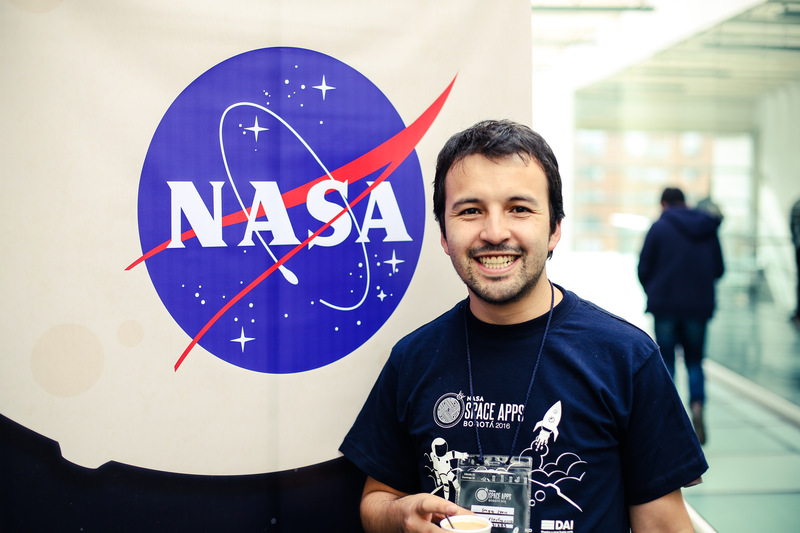 The event is an annual, weekend-long competition, hosted in more than 150 locations around the globe, focused on the design and development of tech-enabled concepts that use NASA satellite data to address challenges related to space exploration and improving life on earth. 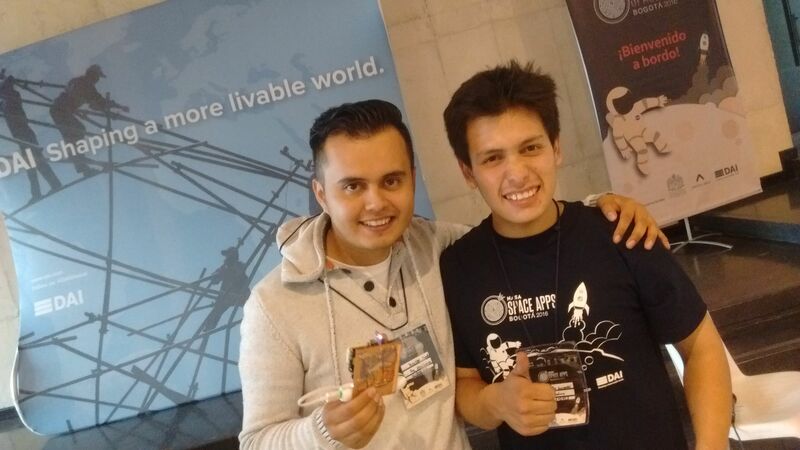 DAI co-hosted the Bogotá edition in partnership with Centro Ático, the on-campus technology and innovation hub of the Pontificia Universidad Javeriana, and the Centro Internacional de Agricultura Tropical (CIAT), with the goal of harnessing the entrepreneurial power of young Colombians to tackle climate change. Why climate change? The issue has come to the fore in Colombia in recent years, as catastrophic flooding—the direct result of changing climate conditions in the high Andes—has become a near-annual disaster, destroying families’ homes, wiping out farm land, impairing road networks, and killing dozens of people. Beyond flooding, Colombia is noticeably hotter than it has been in even the recent past, hitting farmers hard with drought-like conditions in some areas, turning up the temperature to dangerous levels for those who depend on manual labor for their livelihoods, and exacerbating air quality problems that already cause the death of more than 15,000 Colombians each year. 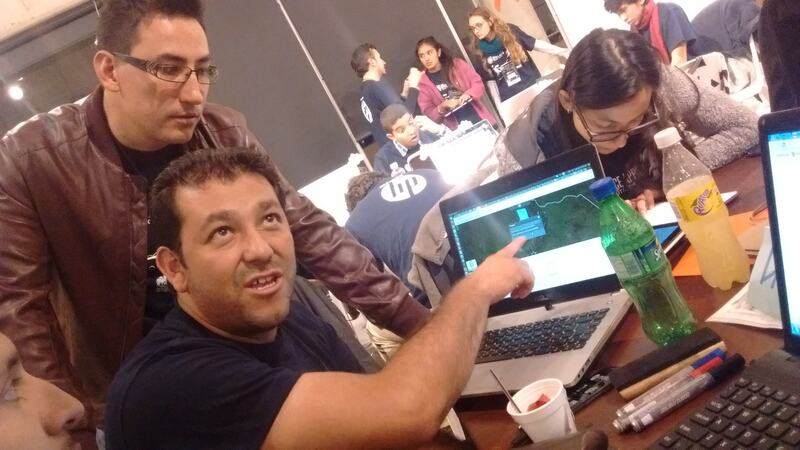 The members of team DATASPATIAL describe their tool Responding to Colombia’s recent floods, DATASPATIAL is designed to help authorities measure flood risk along major highways throughout the country. In short, it’s a map-based platform that predicts which of Colombia’s highways are most likely to flood during periods of sustained rain. The team of three that designed DATASPATIAL are geospatial and topographical engineers, and the system is also designed to account for other types of infrastructure such as roads and power lines. For more info, see the developer’s page. 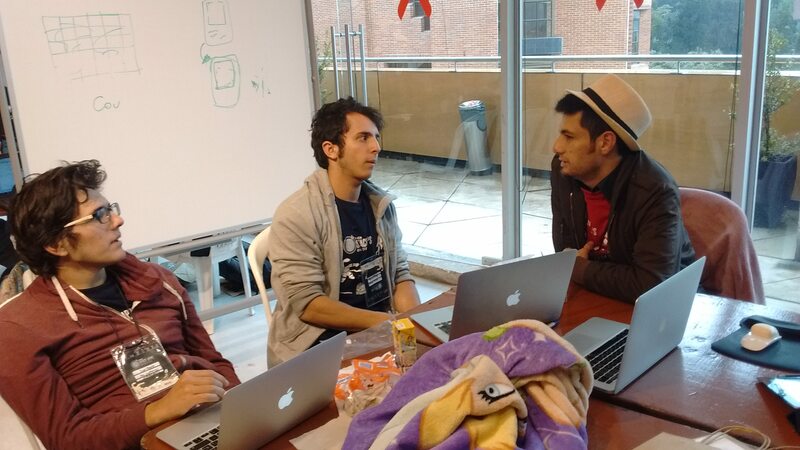 Two members of the Air Guardian team speak with mentor Manuel Pardo (R), Innovation Advisor from Colombia’s Ministry of Technology Air Guardians is an app designed to strengthen the empirical link between air pollution and poor health. The goal is to help environmental institutions—that already have access to air quality indices—get live health information from targeted populations, and then draw correlations between the two. The key difference between Air Guardian and other air quality monitors that teams designed at the event is that Air Guardian provides an incentive for users to share health information in the form of points, which can be redeemed for discount rewards for local food and shopping. Retailers participate for exposure and tax breaks. For more info, see the developer’s page. Two members of the SafeWay team SafeWay is a drone-mounted weather station that measures temperature, wind speed/direction, humidity, air pollution, and feeds this information live to an Android app. The app also includes a live map of the drone’s location and restricted areas. The system’s developers built the weather station from an Arduino, and also coded their app during the weekend event. For more information, see the developer’s page. Have you seen a strong example of how new technologies are helping people adapt to and mitigate climate change? If so, let me know about it in the comments or tweet about it using #DigitalDAI hashtag!